Our goal has always been to provide our clients with the best quality workmanship along with superior customer service. We have maintained that goal for nearly 40 years. We receive resounding praise from our clients that we complete their projects on time and on budget. 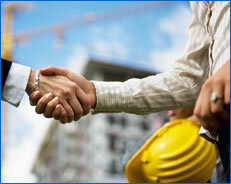 Our current experienced staff has been providing these services for over 25 years. The company was started by Ray Miller in 1972 after nearly 15 years in the Architectural & Engineering Design business. 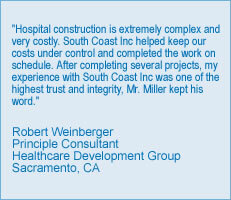 This has made South Coast, Inc. a leader in Design/Build projects in Southern California. Our design experience along with years of practical, hands-on construction experience have worked well to provide our clients with a complete package to take their project from inception to completion seamlessly and economically. We continue to improve our services to better accommodate the needs of our clients and to maintain the most advanced environmentally friendly- products, components and construction practices. Why choose South Coast Inc?